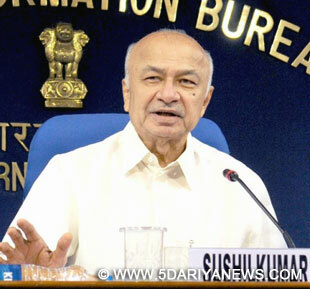 After urging states to be "careful" in arresting Muslim youth, the central government would ask all chief ministers to immediately release people who have been languishing in jail without trial, Home Minister Sushilkumar Shinde said Friday. "We have already written to all the chief ministers that they should be careful in arresting the youth of the minority (community)," he said at his monthly press conference here. "We are again writing to all chief ministers that whoever is not involved should be immediately released. We are also thinking of or rather will appoint a screening committee in these states. I will be requesting the chief ministers in the country," he said.Shinde also said India's most wanted terrorist Dawood Ibrahim is in Pakistan and joint efforts were being made with the US to nab him. "As per our information, Dawood is in Pakistan. When I went to America last year to discuss internal security, I met the Attorney General who looks after the FBI. I talked to him and we decided that we will pass whatever information we have on Dawood amongst each other. We decided we will make joint efforts," he said.Dawood is wanted in a number of cases by India, including the 1993 Mumbai blasts.